The Rose Bouquet Hoop Wreath is a simple and sweet crochet wreath that you can stitch up quickly and easily! 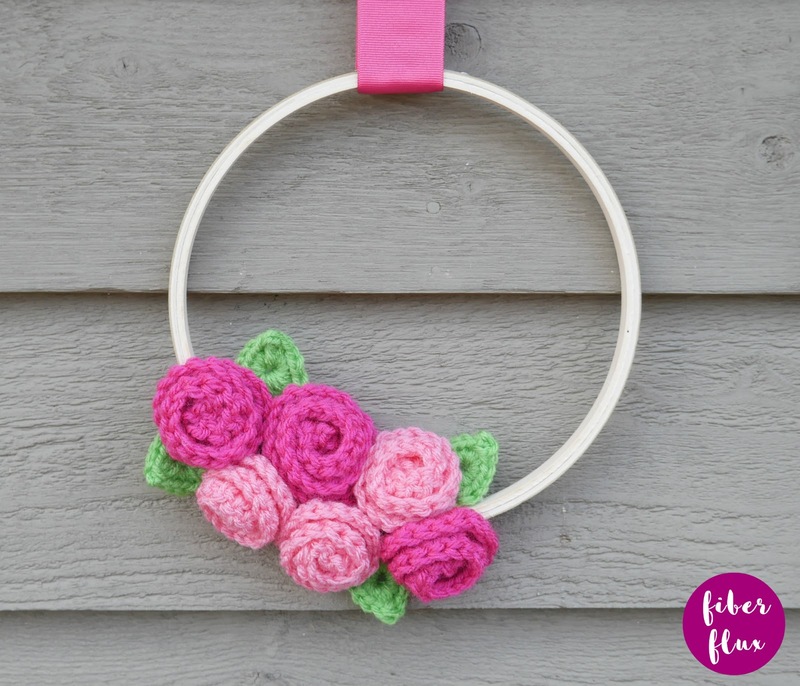 Lovely curlicue roses and one round leaves add a splash of color to your space and the wood hoop is is on-trend and easy to find in your local craft aisle or store too! Row 1: In the 4th ch from the hook, work 3 dc. Work 3 dc in the next ch and in each ch across. Fasten off, leaving a long tail. 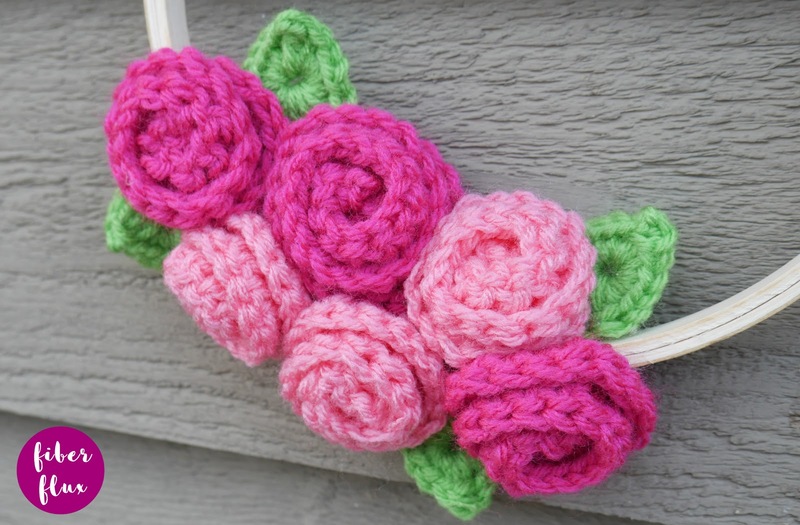 Seam rose together in the center with the center tail. Weave in ends. Before gluing, position roses and leaves where you'd like them to be. Glue roses and leaves to form with hot glue. You can do an off center cluster like I did or center if you like too. If you want a fuller wreath, simply add more roses and leaves. Alternatively, you could fill the wreath with flowers too! 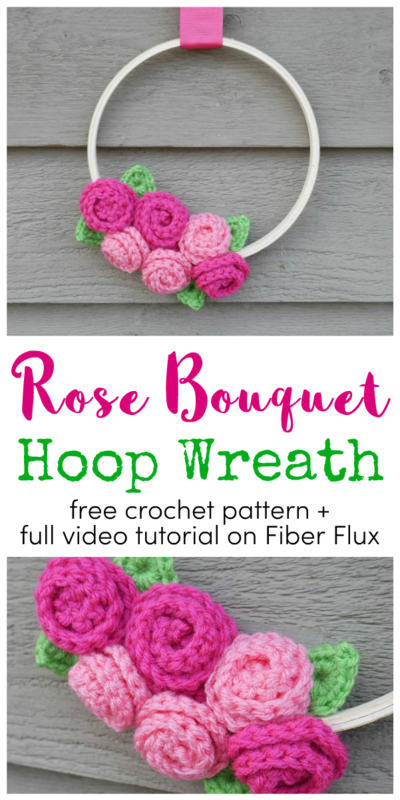 Create a ribbon loop at the top to hide embroidery hoop hardware. Glue in place. Allow all glue to completely cool and dry before hanging.